This havells air fryer has a pan capacity of 4 liter. 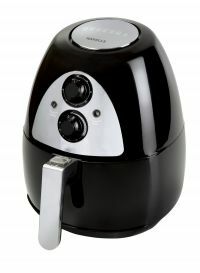 This air fryer comes with unique rapid air technology which fry, bake, toast, roast, grill and reheat the food with hot air making it up to 85% less oily over traditional deep frying. It has Integrated timer with an auto-off and a temperature control function.The enable one to cook food extremely quickly and ensure the best result with , french fries can be cooked in less than 12 minutes. 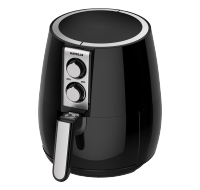 To Recieve updates and possible rewards for Havells Prolife Digi Airfryer please sign in. To Recieve updates and possible rewards for Air Fryer and Tandoor please sign in.